The Bangalore-based Philips Innovation Campus (PIC) in its quest to provide innovative and affordable healthcare solutions for India, has launched an innovative and advanced suite of mother and child care solutions during the Annual Media Onsite, 2013 recently in Bangalore. This suite of products focused across the continuum of care is affordable and caters to a diverse set of care areas. “India loses over three lakh babies every year. Many of these are premature and low birth weight infants who are exposed to hypothermia – a condition where the infants’body temperature drops below the normal temperature required for metabolism and body function. The Philips Efficia range of infant Warmers and Incubators are intended to reduce infant mortality which is the need of the hour in India. 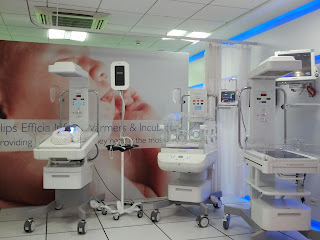 Other major causes for infant mortality are neonatal jaundice and respiratory distress, which are addressed by products such asBiliChek transcutaneous bilirubinometer,BiliTx phototherapy system and NeoPAP respiratory support solution for neonates” said Dr Wido Menhardt, CEO, Philips innovation Campus. “The launch today is in line with our commitment to focus on next generation healthcare solutions. We believe that this whole new suite of products launched today will provide value to customers through cost effective solutions and greater efficiencies. We have solutions for premium urban corporate hospitals as well as tier-2 cities and primary health centers.” said Krishnakumar, President - Philips Healthcare India. It is also important to monitor the bilirubin levels in infants since neonatal jaundice is common in newborn babies, affecting nearly half of them in the first two weeks of life. The Philips BiliChek measures bilirubin levels in a non-invasive manner making use of light instead of a needle, reducing pain and trauma to the babies. 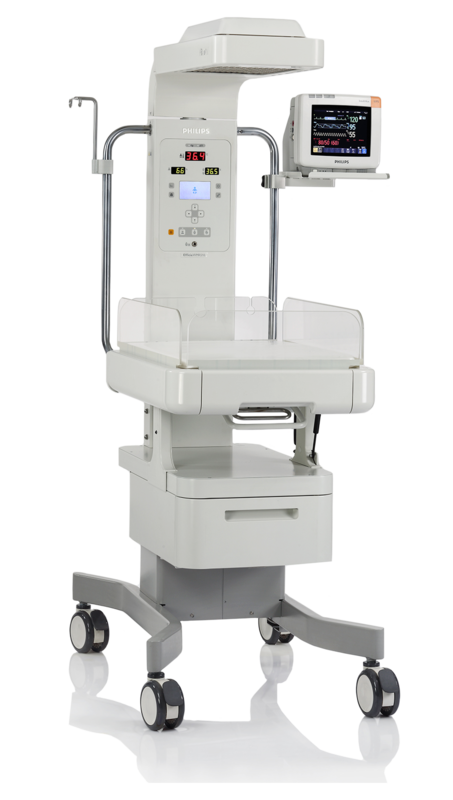 The most convenient aspect of BiliChek is that, it can be utilized without the hassles of undergoing a lab test and waiting for results. BiliTX wraps babies in healing light. Neonatal jaundice can be effectively treated through phototherapy, and, Philips through its global expertise in healthcare and lighting is focused on developing products that support the infant’s development and the health of the mother. With NeoPAP Philips provides a sophisticated neonatal CPAP (Continuous Positive Airway Pressure) delivery system, developed to treat newborns and infants with Respiratory Distress Syndrome (RDS). This non-invasive, dynamic system features a lightweight interface made of soft, skin-friendly silicone to ensure patient comfort and safety. Philips Innovation Campus, whose vision is to create innovative and meaningful healthcare solutionsfor the community, with focus on constantly improving patient care, believes that this launch will provide easy access and efficient healthcare forall. Philips India, a critical care equipment manufacturer, continues on its mission to increase healthcare access across India, especially in the field of Critical Care. 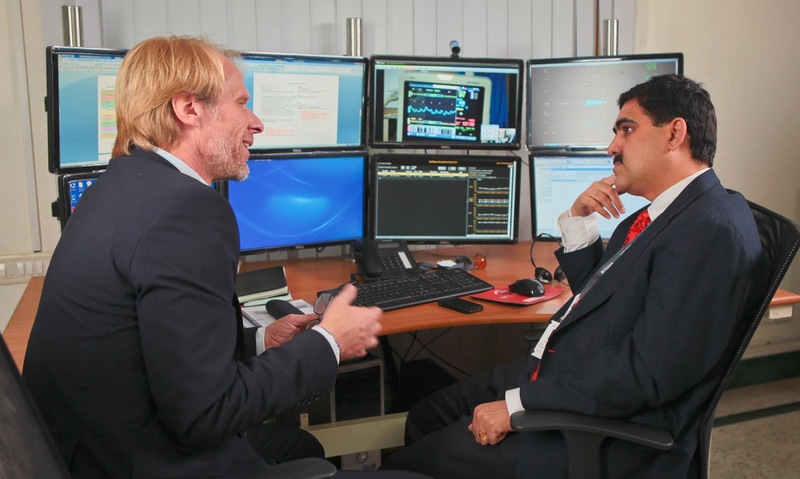 As part of this mission, the company has announced the expansion of the network of hospitals connected using the IntelliSpace Consultative Critical Care (ICCC) solution, which is inspired by Philips’ pioneering global eICU platform. This is a solution that enables an intensivist at a central location to monitor patients in distant multiple Intensive Care Units (ICUs), almost in real time without compromising on quality of information available to them. It provides a solution to the growing shortage of qualified physicians and nurses, while dramatically improving quality of care. The new hospitals added to this network include Aditya hospital (Warangal, Andhra Pradesh), Sreeranga Hospital (Chengalpet, Tamil Nadu) and Geetanjali hospital (Tiruchirapalli, Tamil Nadu). These hospitals will be connected to the Chennai-based InTeleICU, which will act as the command centre monitoring the ICUs of the newly connected hospitals. “It is a well-known fact that only the most critical patients of a hospital are housed in ICUs. Although bedside care providers are present in the ICUs, monitoring all the patients all the time, including multiple high-acuity patients, is a big challenge. This is where a solution like InteliiSpace CCC can be extremely helpful,” added Dr. N. Ramakrishnan, Managing Director and CEO, InTeleICU. This solution enables the ICUs of several remote hospitals to be connected to a big specialist ICU care where best in class critical care specialists monitor and review patient remotely through online data from connected patient monitors and real-time video images of patient conditions. “The IntelliSpace CCC solution has been designed to meet two big healthcare challenges that India is currently facing – lack of qualified Critical Care experts and access to quality Critical Care for people in smaller towns and villages. With the help of this solution, patients can now be monitored by Critical Care experts from miles away, without having to move to a bigger city,” said A. Krishnakumar, President- Healthcare, Philips India. 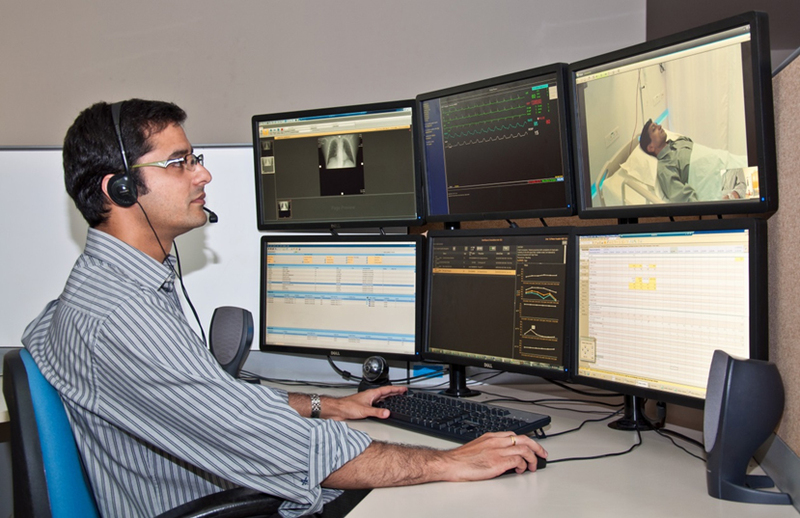 The IntelliSpace Consultative Critical Care solution, conceived and developed at Philips Innovation Campus Bangalore, is an innovation that focuses on the needs of the community today. The focus of this solution is on empowering and providing best specialized advice to the onsite clinical staff and working collaboratively with all other specialists. Additionally, sophisticated clinical Decision Support Systems allow the command center to manage many more patients enabling access and reach to the masses. It is an advanced clinical decision support and documentation solution designed to improve clinical and financial outcomes. Some of the benefits of ICCC include access to qualified experts and facilities from Tier I metro cities, ability to deliver the same level of care to Tier 1 and Tier 2 hospitals and providing consistent practice standards of critical care medicine, meaningful alerts and dashboards that make it convenient for intensivists at the command center to act quickly on critical patients and, given decades of experience in developing products for Critical Care, a cost-effective technological transformation. Ramco Systems, an enterprise software product company focused on delivering ERP on Cloud, Tablets and Smart phones has announced the global launch of its comprehensive HR & Talent Management solution, Ramco HCM on Cloud (Human Capital Management). The launch also marked the unveiling of Ramco’s In-memory engine, Minnal which dramatically improves processing speed by up to 100 times. Speaking at the launch, Virender Aggarwal, CEO, Ramco Systems, said, “The Enterprise Cloud market is growing rapidly with adoption across organizations of all sizes. Our investments in technology and our focus towards bringing Mobility, Gen-Y User interface, role-based WorkSpaces and In-memory engine into a Cloud-based offering has helped us carve a niche position, globally. IDC's revenue forecast for worldwide HCM market is $11 billion in 2016, growing at a compound annual growth rate (CAGR) of 8.1%. Gartner is projecting a $10 billion HCM market by 2015, with $4 billion in talent management, 75% of that market coming from SaaS. According to an Aberdeen study published, 39% of “High Growth” organizations planned to invest in cloud computing in 2012. Market data and trends show that the HCM market is predicted to grow rapidly in the next few years. Ramco has been offering its on-premise HCM software globally, and it now runs in 300+ organizations, including customers with employee size of 100,000+. Launch of Minnal: Ramco also unveiled Minnal, a flexible, light weight, In-memory Engine which can be used for any Planning, Scheduling, Optimization and batch processing (APO) activity.